What is a condo arbitration? Arbitration is an alternative to a court proceeding where a neutral third person, called an arbitrator, considers the facts and arguments presented by the parties and renders a decision. An arbitration proceeding may involve a hearing if there are disputed issues of material fact. If a hearing is held, each party is given an opportunity to present evidence through witnesses and exhibits. If there are no disputed issues of material fact, the arbitrator will generally decide the case based on the assertions in the petition for arbitration, the answer, and the applicable law. What types of case can be brought to arbitration? Condominium creation, ownership, sale and operation are governed by Chapter 718 of the Florida Statutes; Section 718.1255 is particularly pertinent, as it deals with arbitration of certain condominium disputes as an alternative to court litigation. The Section applies whenever there is a dispute or disagreement between two or more parties involving the authority of the board of directors or the failure of the governing body to act appropriately. Actions involved in failure to act may include properly conducting elections or meetings, giving adequate notice of meetings or actions, or allowing inspection of books and records. What types of case cannot be brought to arbitration? Claims for damages to a unit based upon the alleged failure of the association to maintain the common elements or condominium property. What must I do before filing a petition for arbitration? Pursuant to Florida law, a unit owner must attempt to resolve the dispute by submitting a letter offering resolution. The letter should be delivered by certified mail to the registered agent of the association. The unit owner must identify in the letter the issues to be addressed, the resolution sought, and notice that if the matter is not resolved a petition for arbitration will be submitted. How long does the association have to respond to the letter offering resolution? The law does not provide a period of time, but customarily 20 – 30 days is given. What is a Non-Binding Arbitration? If the association fails to respond or is unwilling to resolve the issues, the unit owner should file a petition for arbitration with the Department of Business and Professional Regulations. Florida law requires arbitration in appropriate cases before the institution of any court litigation – thereby the arbitration is mandatory. As mentioned above, the arbitrator will make a determination of the rights of the parties to the dispute, but this determination is not binding upon them. To make the arbitration result binding, a new action must be filed in the circuit court, based upon the arbitration order. This will lead to what is referred to as a trial de novo (“from the beginning”). 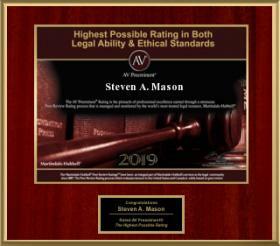 The decision of the arbitrator is admissible as evidence, and the prevailing party is entitled to attorneys’ fees and costs, including those of arbitration. 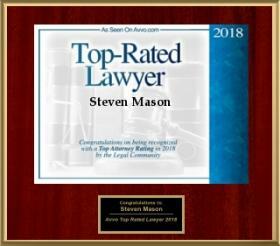 For the best results, it is highly recommended to be represented by a lawyer to ensure your case is handled with the utmost care and professionalism. 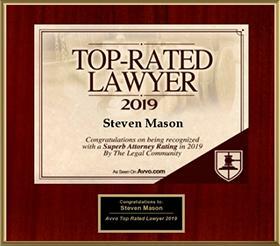 Contact one of Fort Lauderdale and Hollywood’s most experienced condominium arbitration attorneys Steven A. Mason to assist with your matter. Reach out to us today for a consultation.